I believe if you are going to build a legacy business you need to have these two Powerful Marketing Tools in your arsenal to be successful. There are a lot of marketing tools out there that you can use. Things like Social Media, Blogging, Video Marketing and Email Marketing. 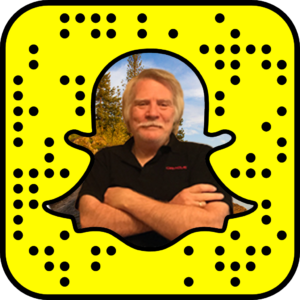 First, I don’t want to minimize the power behind the above marketing tools, especially live video marketing. 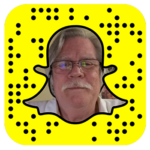 Using other tools available to point your prospects and customers to the two powerful tools we are going to talk about today is great. I’ve always heard that the person who gets the most people in front of a presentation is the WINNER! Using these two marketing tools to accomplish that is so very powerful. 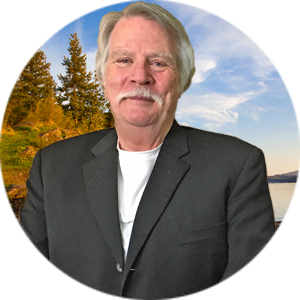 I use my Blog for my hub and the main spot for collecting leads. Using the proper tools with my blog are essential to connecting with new people, generating leads and offering value on a consistent basis. 2 Powerful Marketing Tools – What Are They? The first tool is your Lead Capture Software. The primary purpose of your marketing strategy should be to capture leads and build your list. Whether you are using Social Media or Blogging the end result should be the same. To Capture leads you need a way to offer a lead magnet of value in exchange for the person’s information. There are a number of great software packages out there to choose from. I’m going to share with you my top three choices in the order I would recommend. When I chose which Software system I was going to use it had to accomplish a few things. Have the Integrations I needed. Offer a multitude of templates and the ability to make my own from scratch. This is by far my favorite program to create Capture pages and so much more. Clickfunnels is not only a full blown editor with all the bells and whistles it has Actionetics and Backpack as add-ons. To Find out all of the details about Clickfunnels and get a FREE 14-day trial Click Here. What I can tell is most of the top leaders and top earners on the internet are now using Clickfunnels. Funnelizer is a part of MLSP (My Lead System Pro). The great thing about Funnelizer is that it’s inside MLSP and with that comes some amazing training, tools, and support. Funnelizer is a great option for Beginners and advanced users. The biggest plus for me with funnelizer is the fact that it comes as a part of MLSP. If you want to find out more about MLSP and Funnelizer Click Here. Leadpages is the last recommendation that I have and is also a great system. The Leadpages system is the least expensive of the group and if you are looking for just a capture page system then this is for you. One of the great things about Leadpages is they have a number of great templates to choose from. If you want to find out more about Leadpages Click Here. So those are my three recommendations for Lead Pages Software packages. Again, my first and best recommendation is Clickfunnels, hands down. With webinar platforms, I’m going to show you my top three recommendations. The new WebinarJam is amazing and for me the best overall platform out there. The people at WebinarJam have taken doing a Webinar to a whole new level. The bells and whistles are amazing and the technology you can use for your live webinar is great. For the price you just can’t beat this system. To find out more about WebinarJam Click Here. GotoWebinar and GotoMeeting have been around for a long time and are very stable systems. I personally have not used this system in the past but know a lot of top leaders that are or have used them. For more information on GotoWebinar Click Here. Zoom is a great system that I still use for team conferencing and small groups. They have a webinar option that is good and allows you to stream to Youtube or Facebook also. The price points are competitive but all in all, it’s a very basic webinar system and great for beginners. For more information on Zoom Click Here. The one big difference between WebinarJam and the other two is there isn’t software that has to be downloaded to watch the webinar! In conclusion, regardless of what system you choose the key is to start using these two powerful tools for your marketing. I can tell you from my experience it will take your business to the next level and beyond. If you don’t you will be left behind because other marketers are not going to sit by and miss out. How would you love to create a Lead Funnel that simple, attractive, and easy to build? In today’s post, I’m going to show you how to do just that. If you are like I was, you are struggling to get leads and how to create a lead funnel. Most of the companies that we work with have some capture page, but they never seem to do what they should. I know exactly how you feel because I felt the same way too. It’s overwhelming, and it seems as though it’s going to cost you thousands of dollars and way to much time. So, here’s what I found after doing my research and working on how to build my lead funnel. I found that creating a funnel or capt ure page was pretty easy. And boy are there a lot of programs out there to help you create your capture page and funnel. For most people using the capture page from the company they represent will work for them. But, there are others like myself that wanted something better and to have more control of my leads. If that’s who you are, then you need to watch the video below and see how easy it is to create your first funnel or capture page. So, what are the advantages of having your capture pages to do your marketing? First, you control how you capture your leads and build your list. Second, having the ability to create pages on demand and build your business online is priceless. 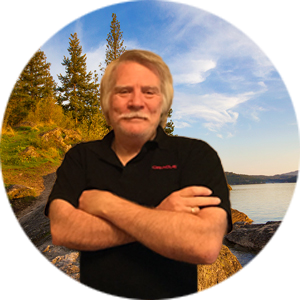 How would you like to sit down and within a few minutes have a professional capture page and start generating leads? I’m going to show you exactly how easy it is to create a great lead page in just a few minutes. In conclusion, if you are the person that wants to take control of your business and your leads then this is exactly what you need. If you are serious about building your business online you need to take the Free Trial and take your business to the next level. If you are wondering what List Building Tools you need to build your business online and start to generate quality, targeted leads daily. Since I started taking my online marketing seriously, I realized increasing my list was the highest priority. Without a list to communicate with you are flapping in the wind. I don’t know any successful online marketer that doesn’t have a valuable list whether large or small. So, every online marketer’s primary goal should be two-fold, add value to your market and BUILD YOUR LIST! It is my humble opinion that this is a must if you are going to market online. Having a stable, secure blog as your marketing hub is the only way to go. I learned this the hard way by trying to cut costs and then having my blog hacked, slow and unreliable. Your blog should be your hub and hold most if not all of your content. You own your blog, and you control it. With the Social Media platforms, you don’t have that luxury. You are probably asking yourself at this point where can I get a blogging platform that won’t break the bank? Well here’s your solution – MLSP Sites! Check this out, and I’m confident you will agree. You are going to need somewhere to collect your leads and communicate with them. Typically this is called an Autoresponder. To start out with I would recommend Aweber. You need to start building a relationship with your list which is your follow-up and fortune. Some leaders email their list daily and others less often. I recommend somewhere between daily and 2-3 times a week. The system I use is Actionetics, and I love it. Actionetics allow you to collect your leads, communicate with your leads and manage your leads. 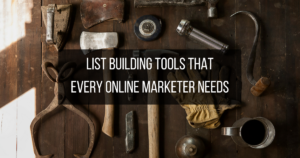 What you need to build your list is a Lead Magnet. A Lead Magnet is something that entices your visitors to exchange their information for something of value. Your Lead Magnet could be a FREE PDF, Training Video, Audio or anything of value for your market. Creating a funnel to your Lead Magnet is by far the best way to capture your leads and begin your relationship. There are a lot of Funnel Creation software systems out there but only two that I would recommend at this point. They are MLSP’s Funnelizer and ClickFunnels. You can look at them both and make the decision that works for you and your level of expertise and your budget. I use ClickFunnels but love them both. Last but certainly not least is your content. Here is where most marketers struggle and I was no exception. It wasn’t until I went through Ray Higdon’s 3-Minute Expert Course that I learned what and how to generate content. Learning about ILT was a turning point for me and my content struggles. In conclusion, if you are serious about building your business using online marketing then you need these tools in your arsenal. 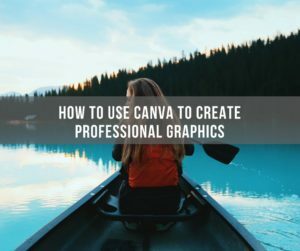 If you are stressing over how to make professional looking images worry no more today, I’m going to show you How To Use Canva like a pro. Most people believe they have to be a professional graphic designer and an expert at photoshop. For me, it was a logical progression in my life because I’ve been a software designer for many years. So I took on the task of learning Photoshop and became good at designing my graphics. As I started to work online and meet a very diverse set of friends and teammates, I discovered that not everyone was as technically savvy as me. So I decided I either had to go into the Graphic Design business or find an everyday solution that the average person could use. Here’s a program that anyone can use and create professional looking graphics. I hope after to watch my video that you will start creating some amazing graphics for your blog and social media. It will make all the difference in your marketing and your brand. In the video below I’m going to show how to use Canva and start making some beautiful graphics TODAY! How To Get ALL Of Your Sales Letters, Scripts And Webinars Slides Written (In Under 10 Minutes) WITHOUT Hiring An Expensive Copywriter! 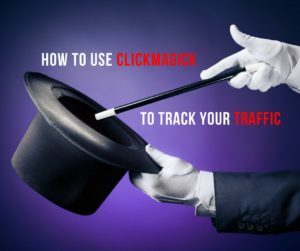 One of the things my mentor taught me a long time ago is “What You Can Track You Can Fix” and that’s just what ClickMagick will do for you in your business. Once I started tracking my traffic, I was able to start making tweaks and small changes that are making big differences. I wish I had listened a long time ago and found the ClickMagick tool. Having the ability to track not only where your traffic is coming from but being able to split test your funnels and see which one performs that best. In the video below I will go through the basics of using ClickMagick. They have incredible training library that I’m sure will answer any and all of your questions. I just want to give you some of the sizzle so you can see what a great tool this is! If you’ve been wondering how you can track your funnels and get the most information from your traffic look no further. Here are some other posts that may help you and follow my mentor Ray Higdon at his blog. 3 Powerful Online Tools For Generating Leads And Making Sales. If you are new to Clickfunnels and are struggling with creating your First Lead Capture Page, I hope this post will help you conquer that. There are a lot of systems out there to help you create you first landing pages and start collecting leads. My favorites are Funnelizer by MLSP, Leadpages and of course Clickfunnels. I’m going to concentrate on Clickfunnels in this post because that’s the one I use most often. Being able to create your personal traffic funnels and collect leads when you want is HUGE! So having a system that allows you to do this without having to have a Ph.D. is also HUGE! The first thing you have to do is have Clickfunnels. 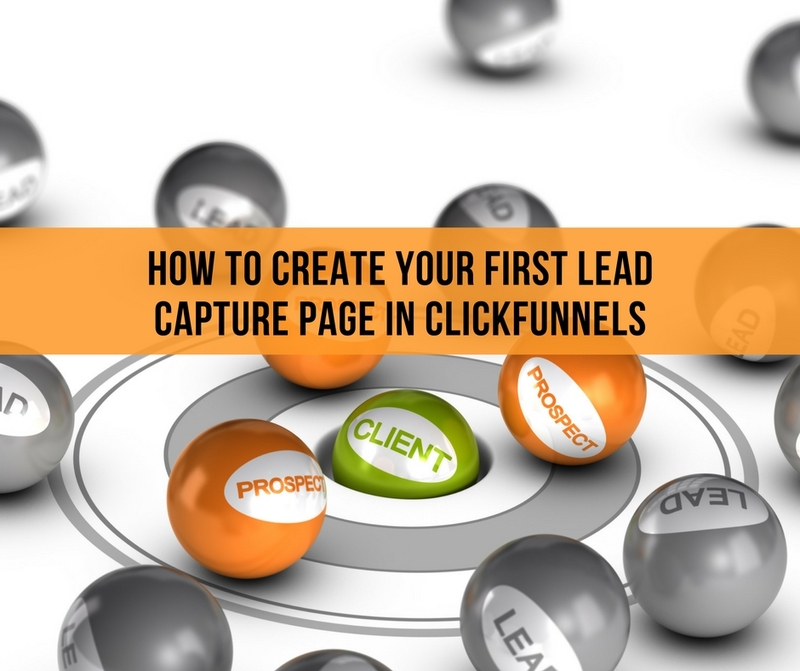 In the video below I’m going to show you quickly step by step how to set up your very first lead capture page. I would encourage you to watch this multiple times so you can understand everything about it. I would also bookmark this post, so if you have simple questions in the future, you have a place to go and get those answers. One of the other reasons that I like Clickfunnels so much is the great support and training they have. Every week Russel and his team put on a show called Funnel Fridays. In this show, they set the timer for 30 minutes and go through and create a funnel from scratch.